Separate power and energy components; can add fuel canisters for hours or days of additional runtime. Fuel cells are power generation devices that operate on hydrogen and oxygen to provide clean, efficient electrical power with only water and heat as byproducts. Fuel cells can provide power for a variety of applications including portable, stationary, and transportation. Unlike battery systems, fuel cell systems have separate energy storage and power generation components, making them well-suited for backup power applications. 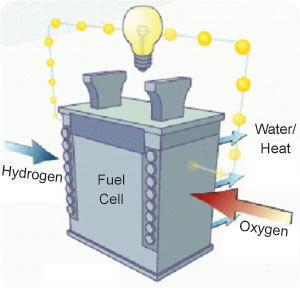 With fuel cells, the runtime can be extended for many hours or days by adding inexpensive hydrogen cylinders rather than investing in extensive battery banks. Fuel cell backup power system products are available and have recently been used in hurricane and blackout conditions to provide critical power. However, further advances are needed in cost, durability, and reliability to achieve widespread introduction into the backup power market. 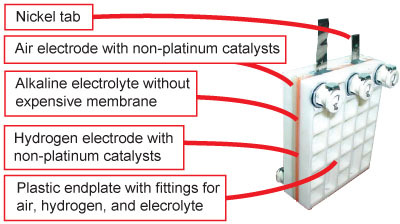 The metal hydride fuel cell (MHFC) offers a practical, low cost approach for fuel cell backup power systems. Metal Hydride Fuel Cells VS.
Metal hydride fuel cell (MHFC) technology has been scaled up and demonstrated in stacks and systems ranging up to 5.0 kW. This enables fuel cell stack building blocks in the range of 1-10 kW for military, industrial and other backup power generation requirements. Simultaneously, a specific power capability of 200 W/kg has now been achieved - more than double the specific power previously reported for ambient temperature fuel cells without platinum catalysts. 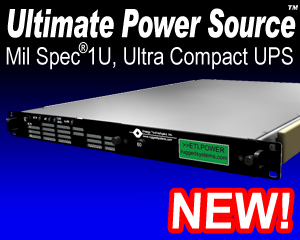 This 200 W/kg specific power rivals that of PEM (proton exchange membrane) stacks now being demonstrated in backup power applications. Furthermore, ETI's technology has key advantages in performance and cost. The fundamental materials durability of the MHFC technology has been demonstrated by the operation of several multicell stacks for 8,000 hours. Unique charge storage characteristics of the metal hydride active material provide for special features including instant start, fuel hot-swap capabilities, good low temperature performance, and inherent bridging and transient handling capabilities. The MHFC is comprised of low cost components, including non-platinum catalysts, carbon powders, nickel meshes, plastic binders, and plastic stack components. Fabrication and manufacturing of the MHFC involves conventional processing equipment similar to that used commercially in the battery industry. MHFC technology offers an excellent opportunity for fuel cell stacks that overcome the serious cost issues facing the fuel cell industry. Capabilities to operate without hydrogen fuel providing: Fuel hot-swap capabilities and continued operation even with fuel supply interruptions for short time frames. 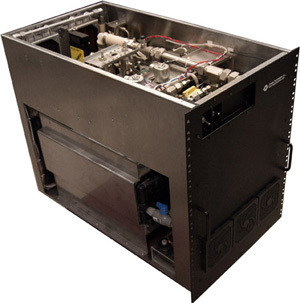 ETI's Standard or Custom Fuel Cell Systems will Simplify Your Power Applications Needs Reliably.